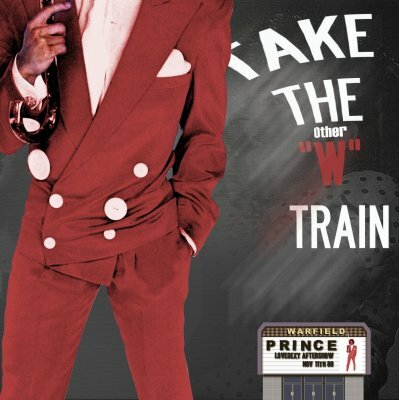 A completely different source recording to the one used on 4DaFunk's previous release of this show 'Take The "W" Train", this is every bit as good and certainly suffers none of the bass distortion or sound wavering which plagued the previous release. On the plus side, the quality of this recording is superior with the show being more defined and upfront, however on the (slight) downside this appears to be recorded in amongst the crowd with a far more audible audience level throughout - what you gain in definition, you lose in audience noise. That said, I have to say overall it is a better recording even with the slightly increased crowd noise and parts of this would certainly make for an EX- grading, however overall I feel a VG+ is harsh, but fair. The wavering which affected the opening few songs is almost non existent, and the excessive bass distortion throughout 'Four' and 'Housequake' on the previous release is a thing of the past. I've already fawned over the shows stunning performance and content in other releases of this show, so shan't repeat myself again, however anyone with a passing interest in the Lovesexy period, or fans of Prince's aftershows really shouldn't let this particular release pass them by as it makes the previous version(s) obsolete. An excellent release.